I think good design is what does the 'most for the least' in terms of materials and cost. 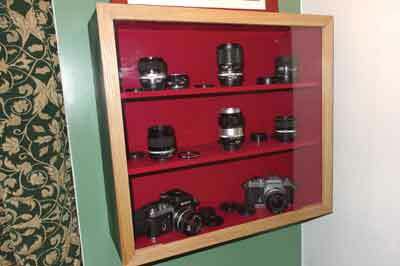 I made a display cabinet recently to house my collection of working, fully functioning Nikon film SLR cameras and lenses. The cabinet wasn't tricky, just 12mm ply painted inside and out in colours designed to make the kit look its best. The polycarbonate sheet covering the front needed to be housed in a decent looking frame and I chose oak (Quercus robur) in a natural light finish. 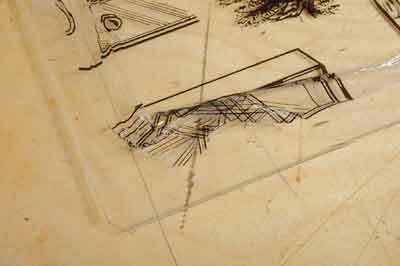 The thing was, it needed to be light in looks and weight - nothing overbuilt. The plastic sheet would hold it square - one problem solved. 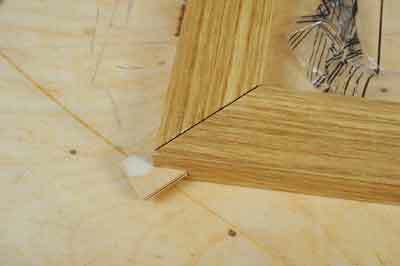 Joining thin mitred corners presented another - I ended up using loose ply tongues and it worked. 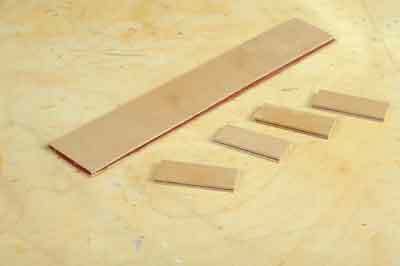 The first job was to glue two layers of 1.5mm birch ply together, giving a 3mm thickness, which was slightly more than the 2.3mm thickness of the polycarbonate. Once dry, I cut it into small slips to use as loose tongues with the majority of the plies running crosswise, which provided maximum strength in the joints. 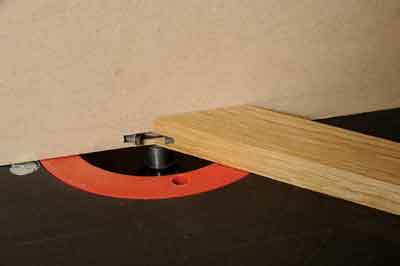 Then I chose a narrow groover and set it up in the router table. This was used to make both the slots for the plastic sheet to slide into and also the first pass in the faces of the already cut mitre joints. At 2.5mm the slots were a little loose for the polycarbonate but not for the loose tongues; this required a second pass on the mitres only, which would widen the slots. A full surround breakthrough fence was essential for safe, accurate slotting. The polycarbonate was cut to size so it was slightly smaller than the slot depth all round. The corners were cut back slightly to ensure the loose tongues were as long as possible. For anyone who has trouble cutting polycarbonate successfully with a knife, the trick is to score the surface until it makes a slight crunching sound as the blade digs into the surface. 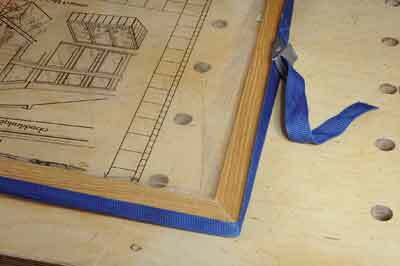 Then, place it on the edge of a workbench or batten and push the waste section down smartly - rather like separating glass that is scored. It should, in theory, then break away cleanly. There was limited time to get all four joints together as the glue started to set. Careful tapping into place was necessary so the joint corners line up and the loose tongues are pushed into place. The waste of each projecting tongue needed to be trimmed off with a fine-tooth saw. 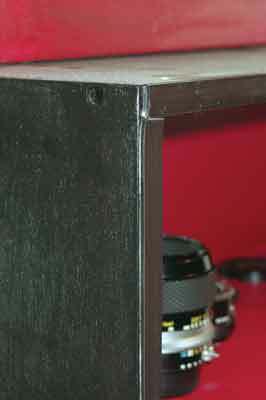 A standard luggage strap was used to pull the frame together but only after the loose tongues had been trimmed so the strap was bearing on the corners. Quite a lot of effort was needed to get the strap to tighten the joints up. Afterwards, the corners were trimmed flush with a chisel and the aqueous varnish I had prefinished the parts with was used to touch up the frame corners. For ease of access and to make cover fixing as least invasive as possible, I used stick-on magnetic strip and matching coated steel strip. This can be cut to length with scissors and forms a remarkably strong grip and yet makes it easy to lift the cover straight off. It also creates a good dust seal to protect these vulnerable bits of photographic kit!